Welcome to the WINERCOST site! TU1304 COST Action aims to merge the efforts of the COST countries research groups working on the Wind Energy Technology and design the pathways to introduce it by means of robust applications to the urban and suburban built environment, thus enhancing the concept of Smart Future Cities. This Action revisits safe, cost-effective and societally accepted wind energy technology for consideration in the development of the future urban and suburban habitat. The principal objectives of WINERCOST is to collect the existing expertise on the Built environment Wind energy Technology (BWT) recently developed as a follow-up of the Onshore/Offshore Wind Energy Technology (ON/OFF-WET) and to investigate effective adoption methods for enabling the concept of Smart Future Cities. In addition, the utmost important issue of the social acceptance strategy will be scrutinized in close collaboration with municipality authorities, industry, manufacturers as well as the international wind energy organizations. 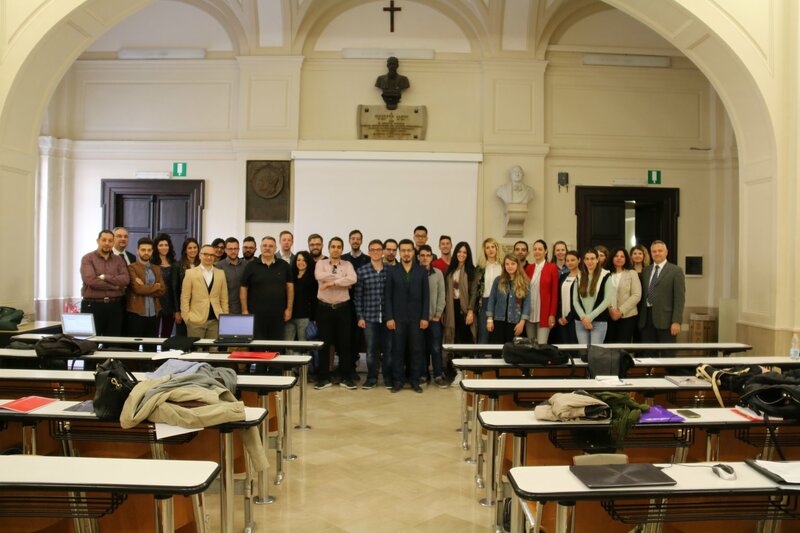 The 3rd WINERCOST took place at the University of Naples the week 23-28.04.2017 in the framework of COST Action TU1304 WINERCOST “Wind energy reconsideration to enhance the concept of smart cities”. Topics on flow simulations and measurements for wind-energy harvesting and good practice cases of small wind technology projects have been presented, whereas building integration, societal acceptance and related topics were discussed. In particular, Early Carrier Investigators had the chance to work on 2 different projects related to the acceptance of wind energy harvesting projects by local municipalities and the society. In particular, the Training School was a balanced mixture of lectures, tutorials and hands-on activities. The lectures covered the fundamental aspects of wind energy including wind speed statistics, turbulent flow in the urban environment, CFD and wind tunnel simulation, structural analysis of bearing elements, sustainability, building integration and societal acceptance. The previous topics particularly included an introduction to CFD and wind tunnel testing with some information on wind generation mechanisms and wind speed statistics, the atmospheric boundary layer and wind turbulence characteristics, the structural response of wind turbine towers under wind and earthquake excitation, the design of the steel tubular towers against buckling, the wind-wave-structure interaction in offshore wind turbines, the sustainability aspects of structures for wind towers and the impact on the built environment and Societal Acceptance. This way this workshop provided an opportunity for the trainees to participate in the assessment of indicators that support the strategic frameworks for built environment considerations and societal acceptance. Last but not least, an elaborately planned technical and cultural guided tour around Naples was organised to provide trainees with additional technical and cultural experiences. The Training School was led by experts in the fields of wind energy. The lecturers in alphabetical order were: Dr. A. Avossa (University of Napoli “Federico II”, Italy), Prof. C. Baniotopoulos (University of Birmingham, UK), Dr. R. P. Borg (University of Malta, Malta), Dr. N. Hamza (University of Newcastle, United Kingdom), Dr. H. Hemida (University of Birmingham, UK), Prof. R. Hoeffer (Ruhr University Bochum, Germany), Prof. A. Mandara (University of Naples “Federico II”, Italy), Dr. E. Marino (University of Florence, Italy), Dr. L. Pagnini (University of Genova, Italy) and Prof. F. Ricciardelli (University of Naples “Federico II”, Italy). The 1st International WINERCOST Conference (WINERCOST'17) started. 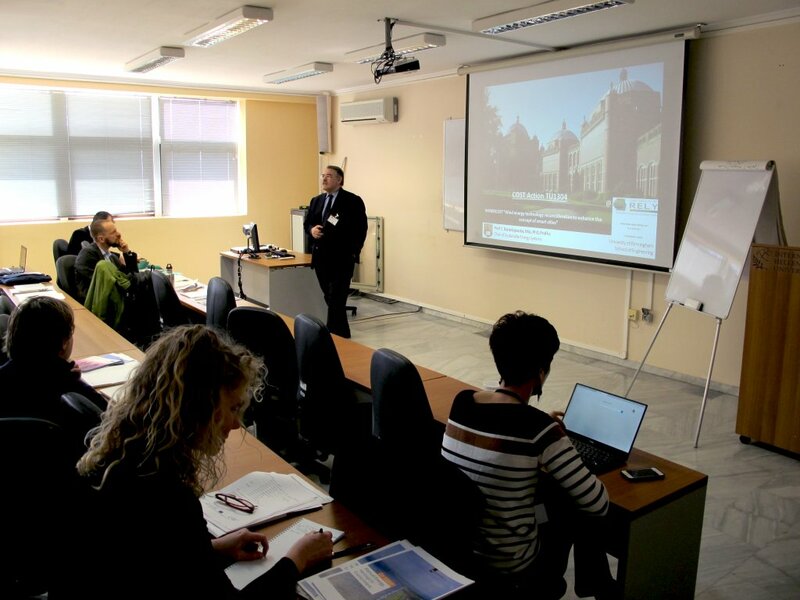 During the Opening Session, WINERCOST chair C. Baniotopoulos and the conference co-chair Prof. C. Rebelo along with the Dean of the Faculty of Engineering, University of Coimbra Prof. Luis Neves welcomed the participants (photo) and described the framework of the current and future WINERCOST activities. 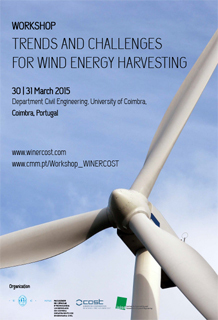 The 1st WINERCOST Conference with more than 100 participants and 70 scientific papers of high scientific level was a very successful international forum on Energy Technology Harvesting and an important dissemination step for the TU1304 Action. 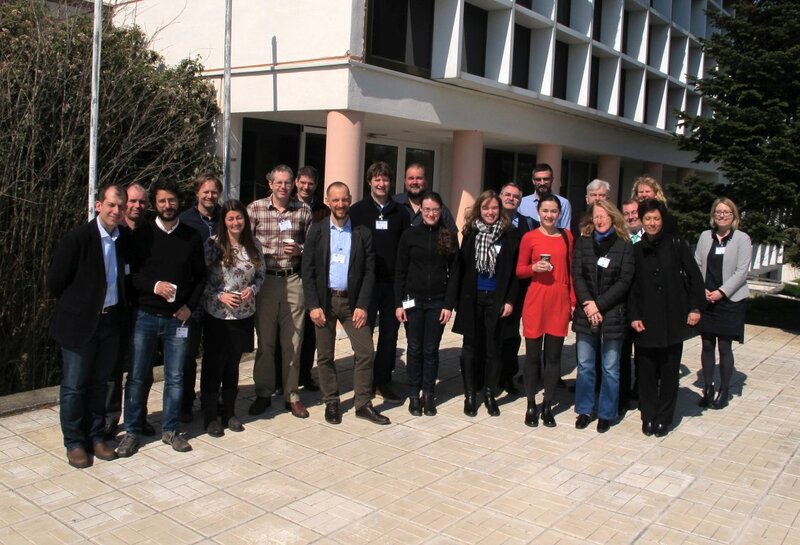 The full bunch of the WINERCOST Work Group activities has been presented by the chair of the TU1304 Action Prof. Baniotopoulos during the Work Group Meeting of the RELY (Renewable Energy and Landscape Quality) Action during its last meeting that took place in Thessaloniki, Greece (13-15.03.17). During this 3 days event, synergies between the two COST Actions have been investigated, in particular on the utmost important topic of the societal acceptance of the sustainable energy and in particular, wind energy technology. This channel of exchange of knowledge will remain open as the chair of RELY Prof Michael Roth is invited and will join one of the forthcoming WINERCOST Action meetings.